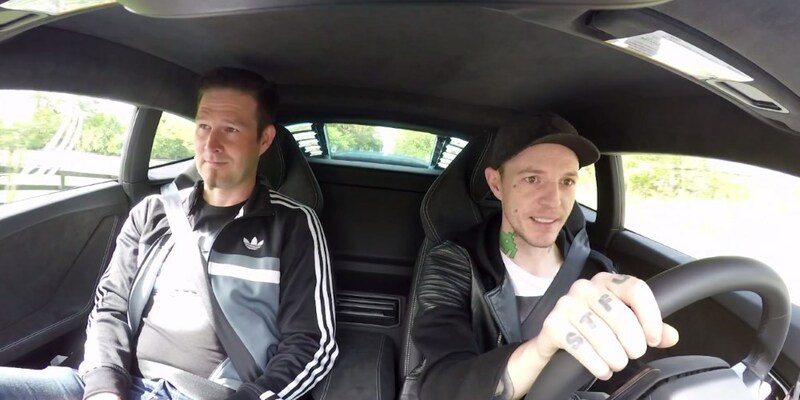 Deadmau5 is joined by Darude aka Ville Virtanen for a little coffee run in the outskirts of Toronto, Canada in the very loud Nyanborghini Purracan. Electronic Dance Music producer and DJ Deadmau5 has adopted a familiar format over the last few years. He calls up his friends and invites them to do a coffee run to his favourite drive-thru coffee stop. He usually did it in his Ferrari 458 Italia, but since that one has been sold, the new car is the, now legendary, Nyanborghini Purracan (Lamborghini Huracán LP 610-4). The car is rigged with a few GoPro cameras to record the adventure. This episode features a Darude aka Ville Virtanen, the man behind the legendary track "Sandstorm" and the follow up "Feel the Beat". In the Nyanborghini Purracan they set off cruising from Deadmau5's house to the closest coffee shop to get some coffee. They talk about everything from Gadgets, cars, music and other things that comes to mind. This is the 20th episode so the format is tried and tested, but a more interesting format for interviews than many others out there. 2016-06-06 02:12 Sandstorm is still awesome!